I’ve already posted two greatest fears this week…why not go for a third? I don’t know if it’s an urban legend or a medical fact, but a long time ago someone told me that it’s possible to die from a brain aneurysm on the toilet. Ever since, the thought has crossed my mind thousands of times when I’m in the bathroom. Here’s the thing: It’s not the aneurysm itself I’m afraid of. It would be over quick. It’s what would happen next that scares me. 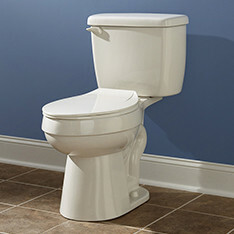 If I died on the toilet, no one would know about it until the next time friends come over for my weekly game night. Can you imagine 8 of your friends walking in the door to find 2 very angry cats…and you, slumped over on an unflushed toilet with your pants at your ankles? I would be mortified if I weren’t already dead. I guess what I’m saying is, if I have to go, I hope it’s not on a toilet. Has such a morbid thought ever occurred to you? Is there a certain way you’re really not like to depart this world? This entry was posted on Wednesday, May 31st, 2017 at 11:16 pm	and is filed under My Greatest Fear and tagged with superlatives. You can follow any responses to this entry through the RSS 2.0 feed. Lol! Amazingly this has crossed my mind 🙂 I have a history of bowel issues and since seeing “Big Fish” where a minor character dies of a heart attack while on the toilet, this thought quite frequently crosses my mid. That’s quite a coincidence that both you and your choral conductor share that fantasy!